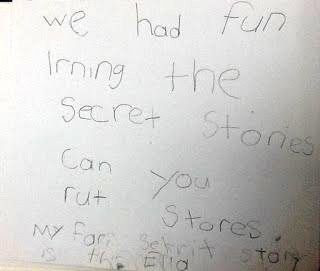 Laura also send a little note from Ella, who asked me to write more stories, and also let me know that her favorite Secret Story was the secret about /th/, which is just too cute! “We had fun learning the Secret Stories. I LOVE questions like these, so thank you to Laura and Ella for reaching out to ask them! 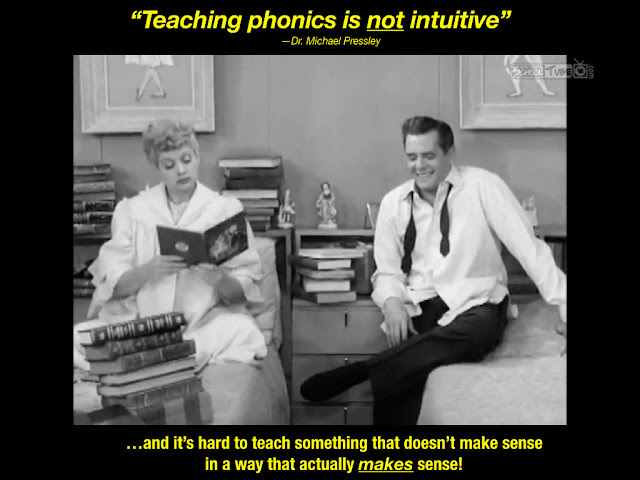 Questions like this provide the perfect opportunity for me to open up a big can of worms when it comes to the way we traditionally think about phonics and reading instruction, in general. Take -le, for example, as in words like little or middle. 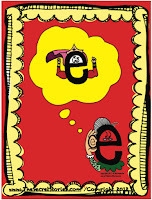 There is no Secret for the —le sound because it’s not necessary in to read the words— not if learners know that the e at the end won’t talk anyway (as Mommy e® only tells the vowel she can reach to say its name, but she has no sound!) Likewise, if a phonics pattern is so rare that it would be of minimal use to elementary grade level readers, then it is not addressed with a Secret. In such cases, experience is the best teacher, so the key is to get enough real skills under learners’ belts so that they can get up and running with text, and allow text experience to fine-tune learners’ skills. An example of this would be the silent t in words containing the -st or -stle pattern, as in whistle or listen. This sound spelling applies to so few words that it doesn’t merit the time and space it would take up in beginning or struggling readers’ brains. Moreover, learners how know just enough Secrets to read the rest of such words would likely be able to make the adustment to figure out the word. The key to being able to successfully give beginning grade learners everything they need is not to burden them with anything they don’t need. (Sorry for the double negative, but hopefully you get the drift!) In simpler terms, don’t get caught up in the minutia. Focus on what really matters and allow text experience do the rest. It is a far better teacher than either you or I will ever be! In addition to providing the logical explanations for letter sound behavior that the brain craves, Secret Stories® also account for the common “default” sounds of letters in text— all of which are embedded into the graphics anchor sound posters. 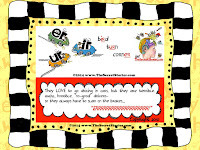 Because these defaults follow the same social emotional “feeling” based logic that drives learners’ own behavior, even inexperienced, beginning (and upper grade, struggling) readers are can think-through the alternative sound behaviors of letters in text, rather than always having to memorize them as “exceptions.” Filtering out the fringe and streamlining the most common letter sound behaviors serves to foster an “if not this, than that” hierarchy of likelihood, helping navigate learner decision-making with unfamiliar text. So before I specifically address the potential new Secrets requested, it is important to understand that just as the apple won’t fall too far from the tree, the letters won’t stray too far from their sounds! 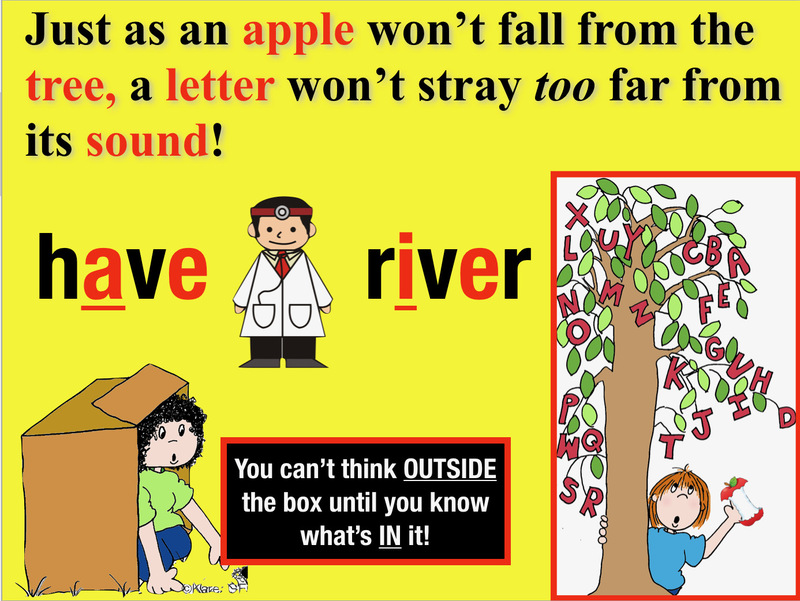 This handy saying can be used to help both students and teachers, alike to convey the flexible thinking needed when working through various sound options of letters in text. Working with text requires learners to think “outside the box,” something they cannot do if they don’t first know what’s IN it. The Secrets ensure that learners know everything that’s IN the box so that they can easily think outside of it, something that working with text, demands. Students as young as kindergarten are easily able to identify the most and next-most likely sounds of letters in words they’ve never seen— stretching their analytical thinking and problem solving capabilities far beyond just the Secrets! This critical analysis and diagnostic thinking game takes the form of “What else can it be? What else can we try?”….. much like the deductive reasoning process that doctors must employ when attempting to diagnose symptoms that don’t always “present” in the way that they should. When learners are equipped with Secrets, they actually enjoy engaging with text in this way, which transforms daily reading and writing into a virtual playground for critical thinking and deep literacy learning! 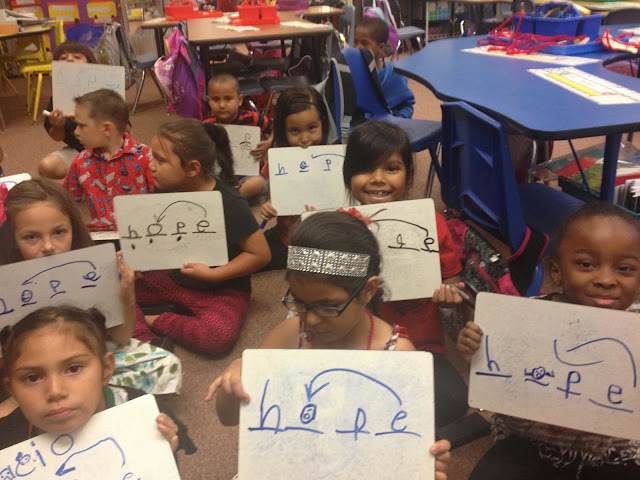 By anchoring abstract letter sound and phonics skills into social and emotional frameworks that are already deeply entrenched within the learner, they become personally meaningful and relevant. Now, let’s attack that list of potential “new” Secrets and see if we really do need to “add a few more cooks” to our phonics kitchen! If kids know the ce, ci, cy/ ge, gi, gy Secret then the addition of the letter d should pose no problem when sounding out the word. Even if they include the d sound, they would still be able to “get” (recognize) the word. 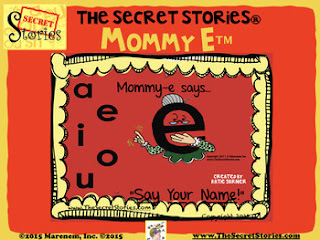 Additionally, the e at the end would also cause no worry, as kids who know the Secrets know that Mommy E® can only tell the vowel to say its name if she’s one letter away, close enough to reach it! Therefore, creating a new Secret for the –dge pattern is unnecessary and would only result in our having “one too many” cooks in our kitchen! That’s not to say that knowledge of -dge as a spelling pattern wouldn’t be useful to upper grade learners, abut the primary goal is to get kids reading. All of the research shows that reading is by far the best teacher for fine-tuning spelling, and kids who know the Secrets will be able to that experience, tenfold! 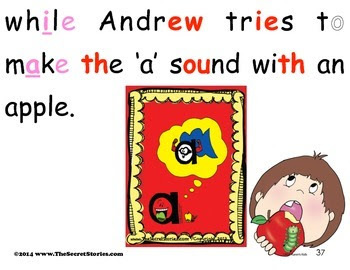 If learners know the ch Secret, then initially attacking it with the t sound before the ch won’t interfere with a reader’s ability to ultimately decode the word, even for kindergartners. The first word, dive poses no problem at all, as Mommy E® is doing just what she should, which is in telling i (who’s one letter away) to say his name! However, in the other words— give, active and live — Mommy E® is just “too tired to care,” as sometimes mommies are! Which is why sometimes, she’ll just sit back and let the vowels do whatever they want… because even moms aren’t perfect! It’s words like these that require kids to put on their “Dr. Hat” and think-through to the next most likely sound! This one’s easy, with the only possible glitch being that the letter o is making its long (Superhero) sound instead of the short and lazy one it’s supposed to when Mommy E® or the Babysitter Vowels®´aren’t around. Even still, simply encouraging learners to “think like doctors” and trying the next most likely sound for o will enable them to get the word. Learn the “Secrets” about Mommy E® and Babysitter Vowels® in the video below. 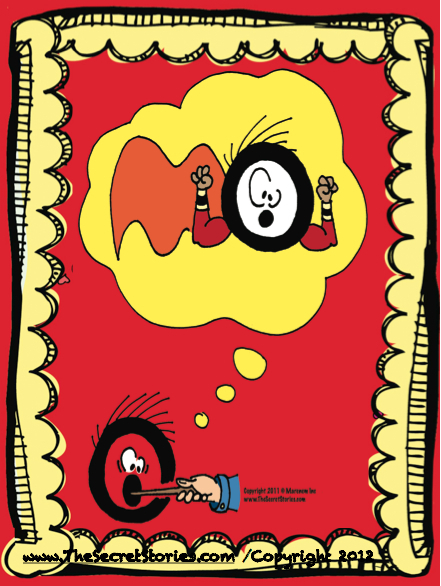 Superhero O and his “short and lazy” disguise! Same as above, as o should short and lazy, since there is no Mommy E® or Babysitter Vowel® in sight, so again, learners need to “think like doctors” and try both sounds to be sure, just like any good word doctor would do. This is like those above, with the exception of words like monkey, in which the short o can sound more like short u. 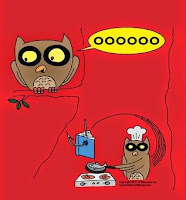 Rather than having to “hire another cook” for our kitchen, there is actually a handy trick called “Thinking Vowels—Head-Bop” that takes care of this, as well as other seemingly non-decodable sight words, like: come, of, was, love, some, does, above, etc... You can read about it here! 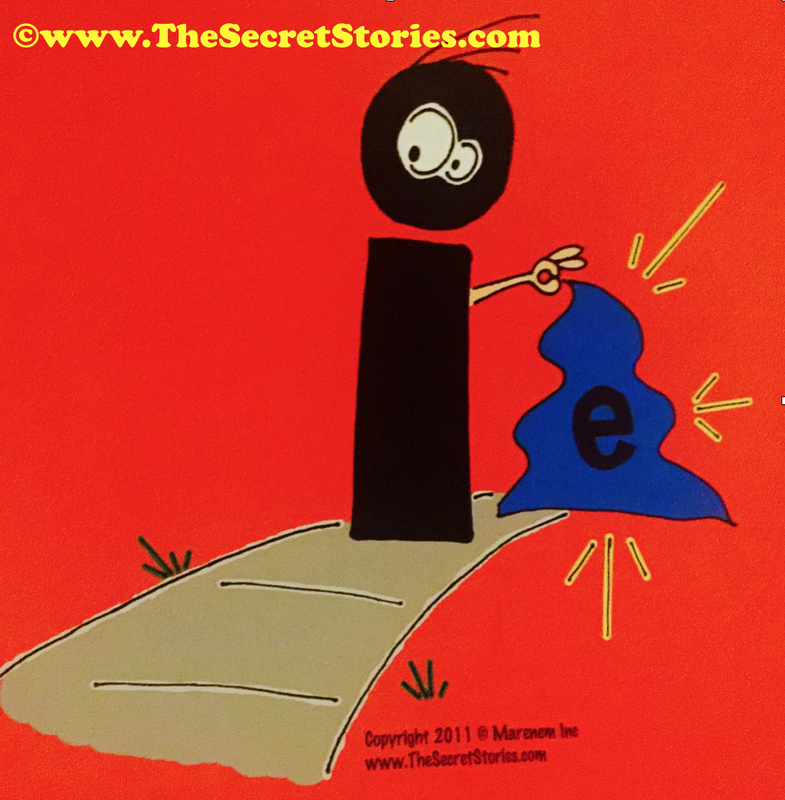 One of my favorite Secrets is I tries E on for Size, and it’s all that’s needed to explain why i will sometimes make e’s sound instead of his own! 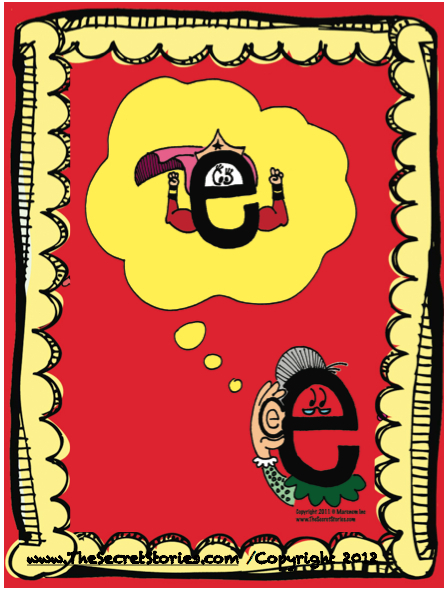 This one’s easily taken care of with the ER, IR & UR- Secret, as the t just makes its regular sound, and like some of the other patterns above, Mommy E® is just hanging out at the end, doing nothing! 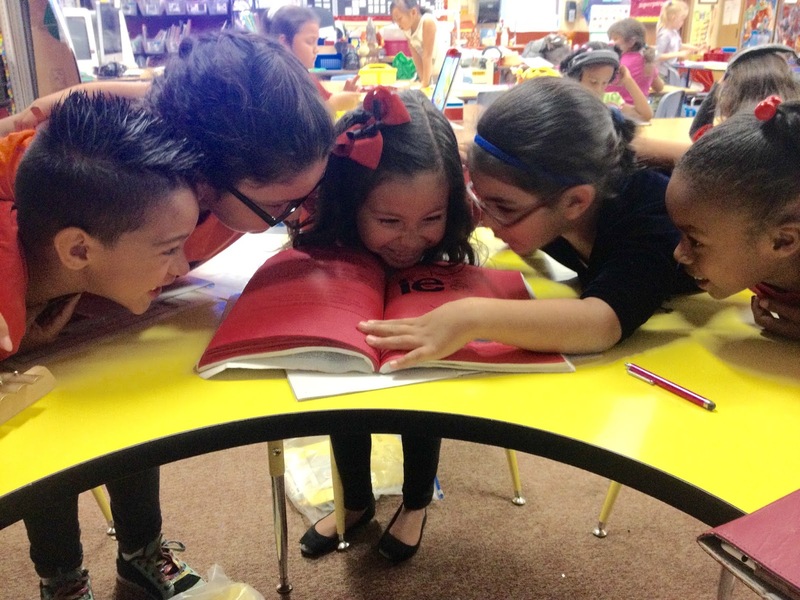 It’s so easy that not only can kindergartners do it, they can TEACH it! 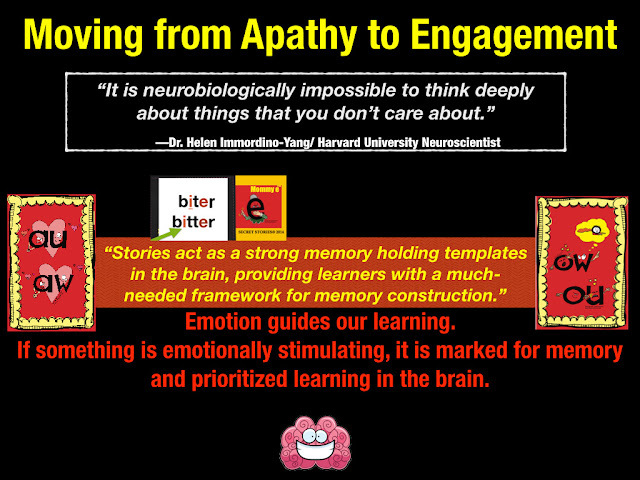 Former early grade teacher turned Harvard University Neuroscientist, Dr. Mary Helen Immordino-Yang sums up what is evident in the short video clip above, which is that, “It is neurobiologically impossible to think deeply about things you don’t care about.” These kids really care! Not about long and short vowels, but about mommies, babysitters, vacations, the behavior of other kids, etc… all of which are woven into the Secret that they are passionately debating in the word light. Now for the final part of Laura’s question regarding what books are best to use with Secret Stories®. That one’s easy— anything and everything! Books, magazines, posters, road signs, cafeteria menus, logos, etc…. literally everything with text is fair game! 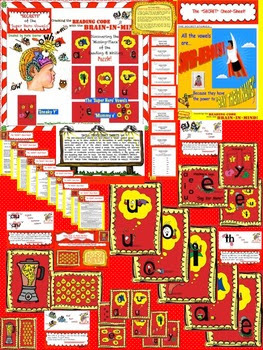 Click to Download the FREE Secret Stories® “Appetizer” Anchor Phonics Posters! https://www.thesecretstories.com/wp-content/uploads/2016/02/Secret-2BStories-25C2-25AE-2BPhonics-2Boo-2BSecret.png 966 900 Katie Garner https://www.thesecretstories.com/wp-content/uploads/2018/07/Secret-Stories-Phonics-Method-Logo-1-copy.png Katie Garner2016-02-20 19:42:002019-03-25 19:34:16How to Avoid Having Too Many "Cooks" in the Phonics "Kitchen!" 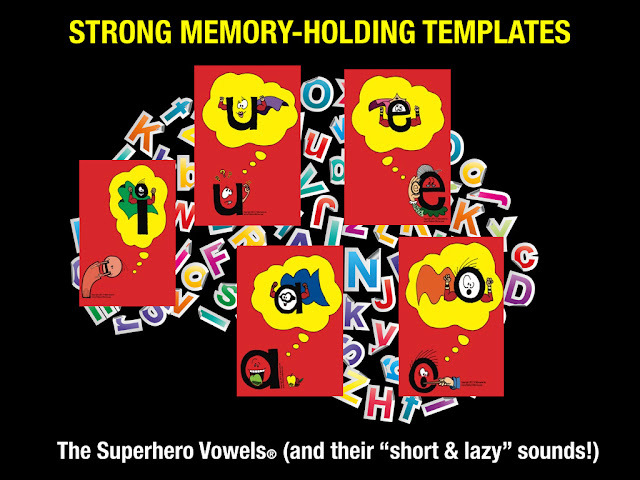 Teach Long & Short Vowel Sounds in 5 Minutes with the BETTER Alphabet Song & Superhero Vowels®! Yes! it IS possible to teach those tricky long and short vowel sounds in just 5 minutes, if you know how to cheat the brain! Learn all about the “BETTER Alphabet Song” for fast-tracking individual letter sounds, plus the Superhero Vowels (and their short & lazy sounds!) for easy retrieval of those hard short vowel sounds! What’s Used Together Becomes Fused Together in the Brain! 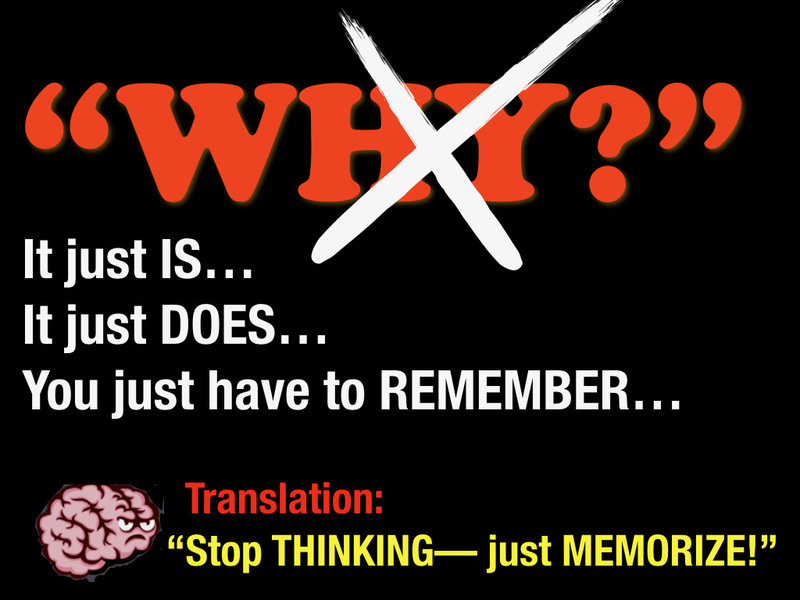 As teachers, it’s so important that we understand not only “how” to do something, but why! When memories are supported by greater coordination between different parts of the brain, it’s a sign that they are going to last longer. The greater the distribution of signaling, the stronger the memory takes hold in our brain. 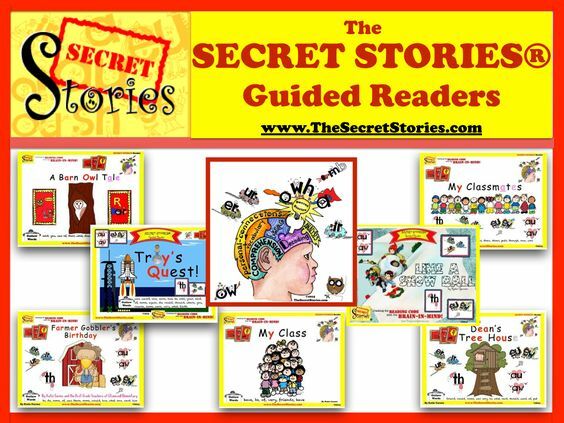 Secret Stories® triggers multiple areas of the brain to engage simultaneously, sparking what is referred to as “multi-layered” memories for deeper learning for easier skill retrieval. This week, I am excited to welcome back Renee McAnulty (a.k.a. “Mrs. 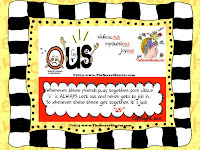 Mac”) who’s been kind enough to take time out of her busy “beginning of the year” schedule to do a guest blog post with her new crop of first graders as she starts with the Secrets! 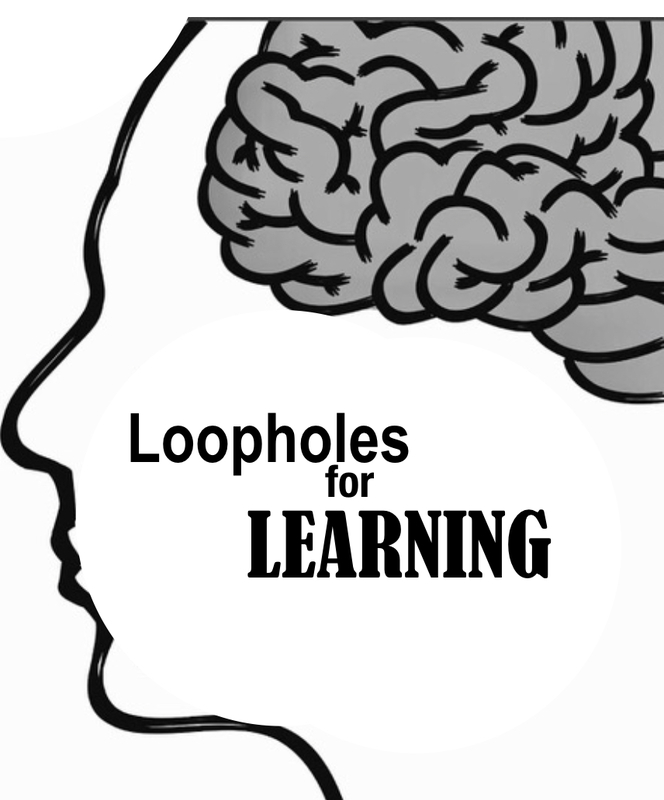 (And in-conjunction with her post, I want to also dive more deeply into some “loopholes for learning” that brain science provides, so keep an eye out for brain-icon (shown on the left) with these red text-blurbs! Mrs. Mac’s First Graders Discovering the Secrets! Happy “New School Year” Folks! 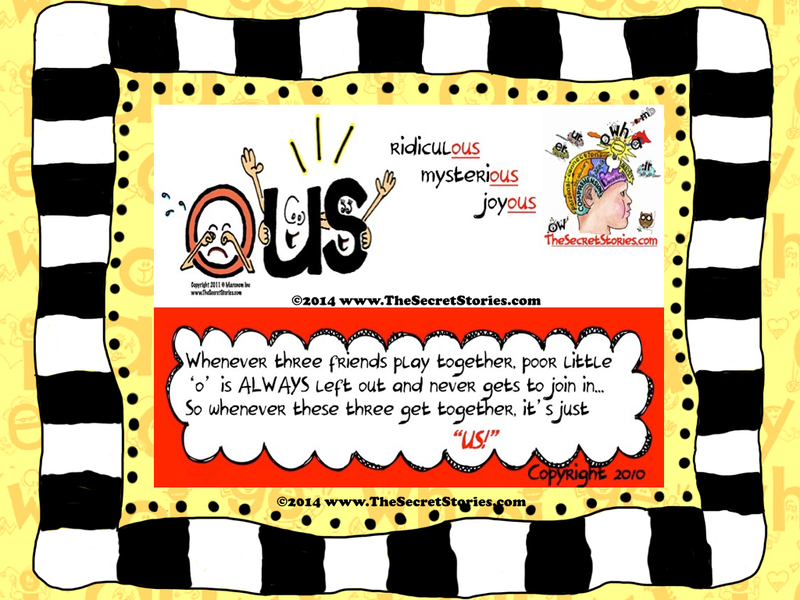 I hope this post finds you well and enjoying a great start to a brand new year with your own new munchkins! The title of this post is actually a quote from one of my adorable kiddos at the end of the first school day, following my announcement that it was time to go home. Feeling a bit overwhelmed by all there was to do in this brand new first grade classroom, one of my sweet little boys said, “….but Mrs. Mac, we don’t have time to go home!” Now while I might feel this way on a regular basis, hearing one of my little guys actually say it out loud just made my whole week… so of course, I wanted to share it here with you! So sit back, relax…. and we will show you how we get started. First up is the “Better Alphabet Song,” which you can watch my class doing, as well as hear Katie talk more about in the second clip, below. One quick note though, IGNORE (read “Don’t do!) 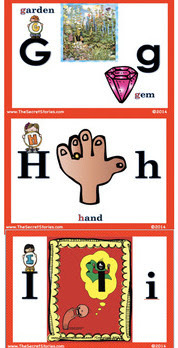 the Zoo Phonics hand motions, as these were a carry-over from earlier in the year before we started Secret Stories. Allowing the kids to do the motions with the Better Alphabet Song actually ended up hurting more than helping, as the key to fast-racking the letter sounds with the Better Alphabet Song is for kids to have their eyes “glued” to the letters AS they are singing their sounds. It is this visual connection, in addition to the muscle memory retrieval of the sounds that cements skill transfer for reading and writing. The random animal motions/gestures from Zoo Phonics actually distracted their visual focus on the letters as I was pointing to them, which disrupted the “sound to symbol/ symbol to sound” connection that they needed to use the letters to read and write words. 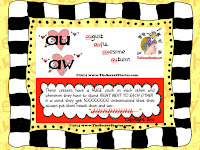 Plus, they didn’t need them anyway, as they were no longer having to think about the sounds the letters made, as they were already in their muscle memory! 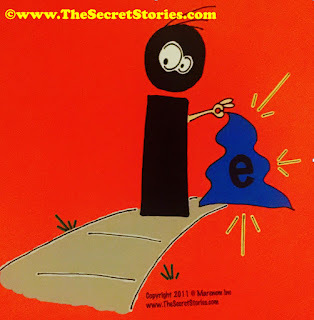 The only exception is with the Superhero Vowels and their short & lazy sound-cues/gestures, as those ARE actually important, as they immediately prompt the otherwise “vague” sounds of the short vowels and make them super easy for kids to get! With our Zoo Phonics Song, it could take up to one year for some kids to acquire all of the individual letter sounds, whereas with the Better Alphabet Song, it took LESS THAN ONE MONTH! But, the secret is in the “eye glue” and “muscle mouth!” Kids have to always “SEE what you SING, and SING what they SEE” so that they are ready for use in reading and writing! 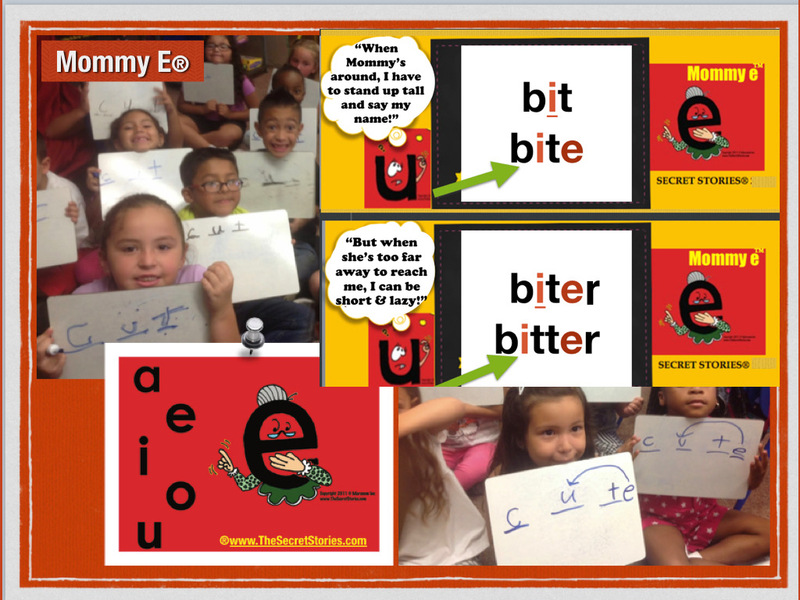 Katie talks about the importance of this “See It/Say It” connection in the video below, as she describes how the “Better Alphabet” uses muscle memory to fast-track letter sound mastery so as to take just 2 weeks to 2 months. Secret Stories® targets the earlier-developing and more readily accessible affective (feeling) networks for short vowel sound mastery by engaging learners in dramatic actions/feelings-based cues/gestures that literally “land” them in the sounds! In this way, it becomes possible to bypass areas of inherent early (and struggling, upper-grade/ELL) learner weakness (i.e. auditory processing, articulation, language delays etc…) and tap into alternative areas of strength. 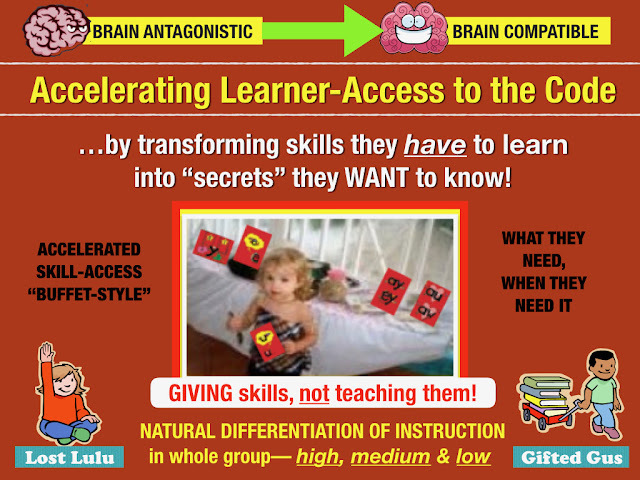 This “backdoor-to-the-brain” approach to skill mastery is a hallmark of Secret Stories® and is just one of the ways that it accelerates early learner-access to the code, starting in PreK! “get” the short vowel sounds by simply retelling the story (some of which are literal dissertations!) my slower (and non-native English speakers) are actually accessing the short vowel sounds from a different place, relying more strongly on the visuals (posters) and dramatic action cues/gestures to retrieve the sounds. 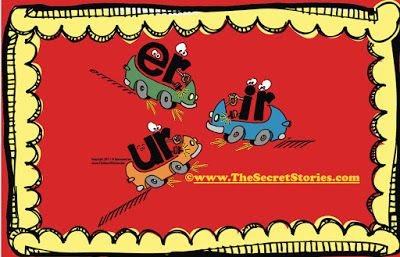 The Secrets are like little “bridges” that all of my little ones can easily and effortlessly find their way across— regardless of developmental readiness issues, academic level, language background or past experience… and that’s why they’re so AMAZING!!! The kids never tire of telling the Secrets and literally talk about them all day long…. which is actually one of the reasons I love Secret Stories® so much, as like most first grade classes at the beginning of the school year, my kids are academically “all over the map!” I am also in a very transient area where students are moving in and out throughout the school year, making it extremely difficult to catch them up on all of the reading/phonics skills they don’t have/missed. Using the Secrets have made this a non-issue, as any skills (i.e. Secrets)they missed will continue to be shared and re-shared throughout the year, as we use them to crack text every day! 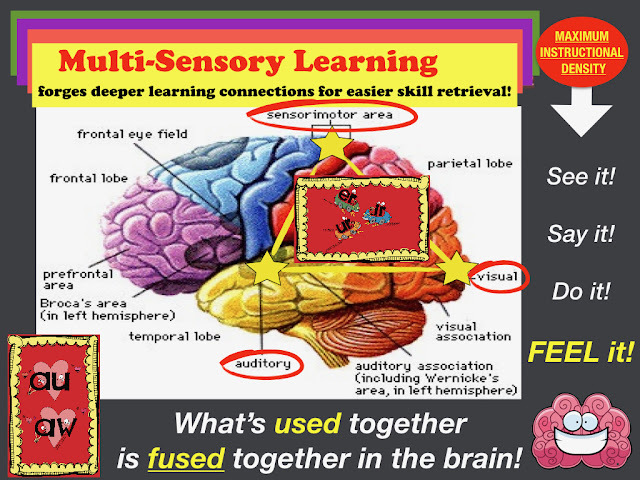 “What’s used together is fused together in the brain!” Secret Stories® multi-sensory approach to phonics skill instruction activates auditory (story), visual (graphics), physical/kinesthetic (cues/gestures) and affective (feeling-based) learning channels to forge deeper connections between otherwise meaningless skill concepts. Secret Stories® activates multiple areas of the brain simultaneously, triggering the formation of multi-layered memories, which are supported in different parts of the brains and naturally easier to retrieve. Research shows the “greater the distribution of signaling between different parts of the brain, the stronger the memory takes hold,” which is why each time they tell a Secret, it becomes more deeply embedded within them! One trick that we use all the time that I want to share is how we transfer the Secrets into our writing. Applying the Secrets in writing from the very beginning really helps the kids grasp the inherent connection between reading and writing— one that beginning readers don’t naturally perceive. I ask students to draw three lines (on individual white boards, paper, etc…) and then I give them a three-letter word, like cut. I then ask them to segment-out and write each of the letter sounds they hear on a different line, reminding“there are three letters in the word and that is why we made three lines.” After the kids have finished writing the sounds they hear on the lines, they cover their word so no one else sees it. Then, when I say “Chin it!” they all hold up their words so that I can see them. This allows me to see right away who understands how to apply the Secret and who doesn’t. 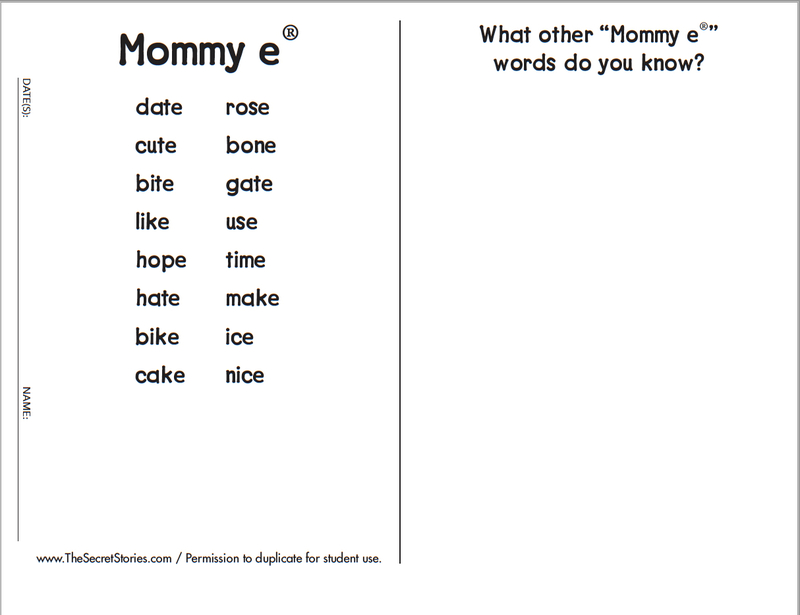 When I teach the Mommy E® Secret, I have the kids draw FOUR lines, telling them, “The last line is for Mommy!” They know when Mommy E® is at the end of a word (or one letter away from another vowel, where she can easily reach it!) 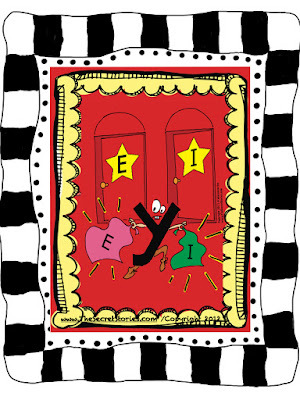 she will always make the vowel do what it should and say its name! The four lines for Mommy E® words serve as a visual reminder that there can be letters in words that you don’t hear. 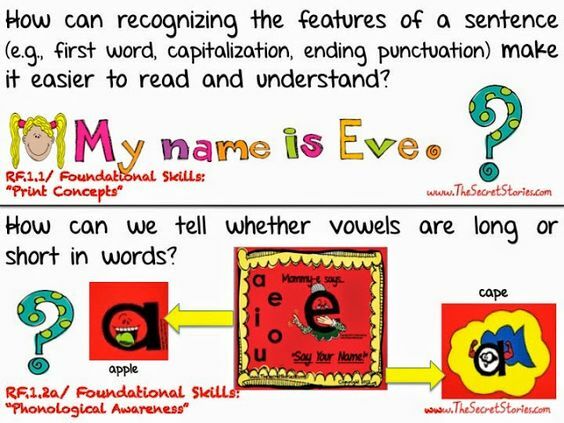 This is a tremendous help, especially with ELL and non-readers, as they all LOVE to draw the arrow from the Mommy E® to the vowel that she’s telling to say its name! 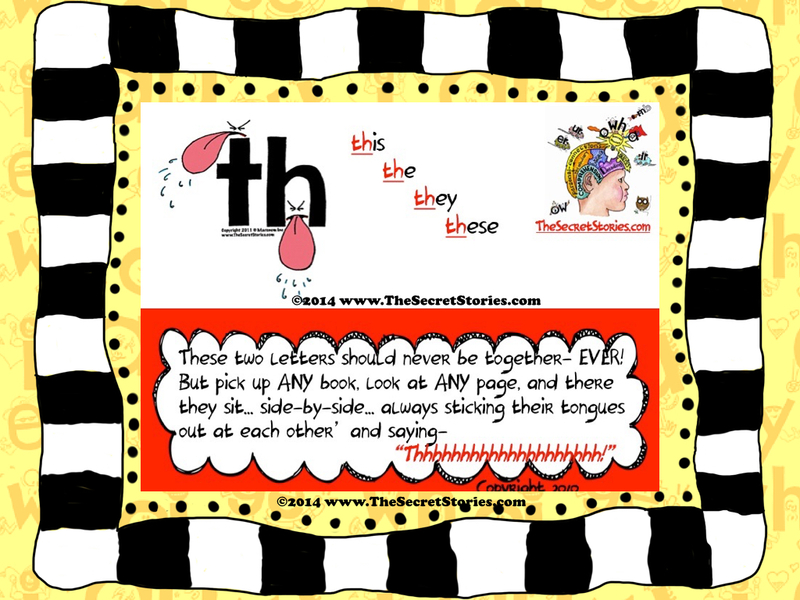 Although I always try to use examples from the words around our classroom and in text that we read, the lists in the back of Secret Stories® book do come in super-handy when my mind draws a blank and I’m unable to think of words to reinforce a specific Secret! The most beautiful thing about this logical learning process is that I get to see these babies grow so quickly from writing and spelling simple three and four-letter words, to writing multi-syllabic words with “10 letters-plus” in a matter of only a few months! 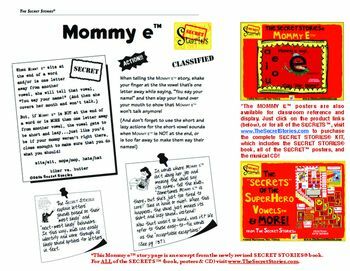 And I waste no time in extending the Secret they know about Mommy E® with the one about the Babysitter Vowels®, which catapults their reading and writing to a whole new level! 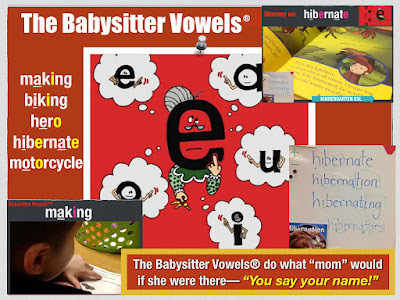 Kids in kindergarten understand the Babysitter Vowels® just as easily as they do Mommy E® because they are both based on the same “Do what mommy (or the babysitter) says!” …..even if they aren’t yet ready to understand it in “V-C-V / V-C-C-V” terms! 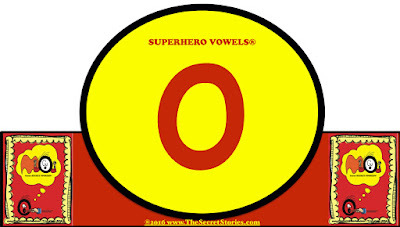 The Superhero Vowels®, Mommy E®, Babysitter Vowels® (and Sneaky Y®, which I didn’t talk about, but you can read about here!) are what Katie refers to in her sessions as “high-leverage” Secrets, as they provide beginning readers and writers with SO much bang for the instructional-buck! You can watch her speak about these in the video clip below and then start playing around with these in your classroom, too! And thanks to Katie’s ongoing invitation to post here throughout this school year, I’ll have the chance to share our amazing transformation into “grown-up” readers, writers and spellers with all of you! 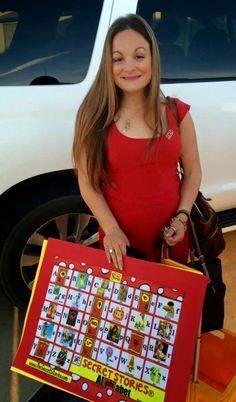 This is me with my “BETTER Alphabet” Mini-Mat! LoL! I want to thank Mrs. Mac SO MUCH for sharing so many of the wonderful things that she does in her classroom, and I can’t wait to watch how her class grows as readers and writers over the course of the year! 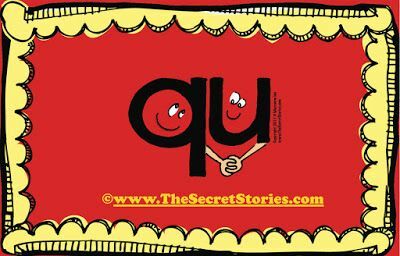 And for all those who don’t have the Secret Stories® but would like to try them, you can download the mini-poster sample pack free using the link underneath the picture, below. The “bundled-pack” even includes all of the anchors that are contained in the Beethoven Blends “Blender Pack” so as to provide additional practice by incorporating the blends with the changing vowel sounds. 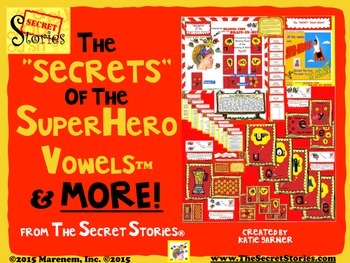 The Superhero Vowels® & MORE Bundle is the best way to get started with the Secrets, and it’s also a great way to supplement the Secret Stories® Classroom Kit for those already using them! Like all of the digital Secret Stories® pieces on TpT, the graphics can be reproduced in various size options for use as needed, both in and outside of the classroom—from centers to home use/practice! Once you start telling Secrets, there will be no turning back— for you OR your students! 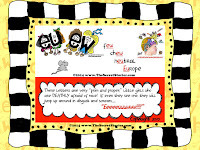 They will starte questioning EVERYTHING about letters and the sounds that they make…. because they know that you have ALL their Secrets! Whenever and wherever your students spot letters not doing what they should, they will demand to know its “secret”…..so be prepared! 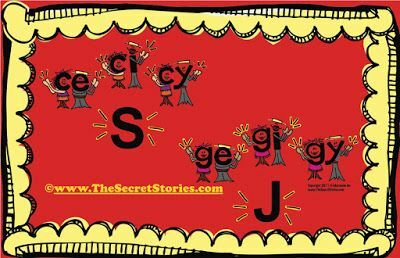 To learn more about how to share the Superhero Vowels® and their “short & lazy” sounds with your class, check out the two-part vlog series, below, and subscribe free to the Secret Stories® “BrainRead” Youtube Channel, here. Just after finishing this post, I received the following email from Mrs. Mac…. And this is exactly why I love Mrs. Mac…. she gets AS excited as her kiddos! She is truly their biggest cheerleader and her enthusiasm for reading and writing is contagious!!!! 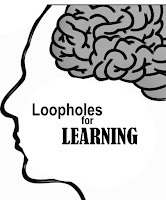 https://www.thesecretstories.com/wp-content/uploads/2018/06/6-learning-loopholes.001-copy.jpeg 768 1024 integritive https://www.thesecretstories.com/wp-content/uploads/2018/07/Secret-Stories-Phonics-Method-Logo-1-copy.png integritive2014-09-15 19:37:002019-01-20 16:39:16Teach Long & Short Vowel Sounds in 5 Minutes with the BETTER Alphabet Song & Superhero Vowels®! Because doctors know that the plague is the least likely cause of your symptoms and that the flu is the most likely, they will probably go with the flu first, and then work their way through the alternative options, as needed. Like medicine, the English language is not an exact science, and neither are the phonics rules, as there are many “so-called” exceptions. However, we can “treat” unknown “exception” words in much the same way that doctors treat their patients, and by doing so, a logical, thinking-construct begins to emerge— one that greatly empowers learners and their decision-making when working with unfamiliar text. 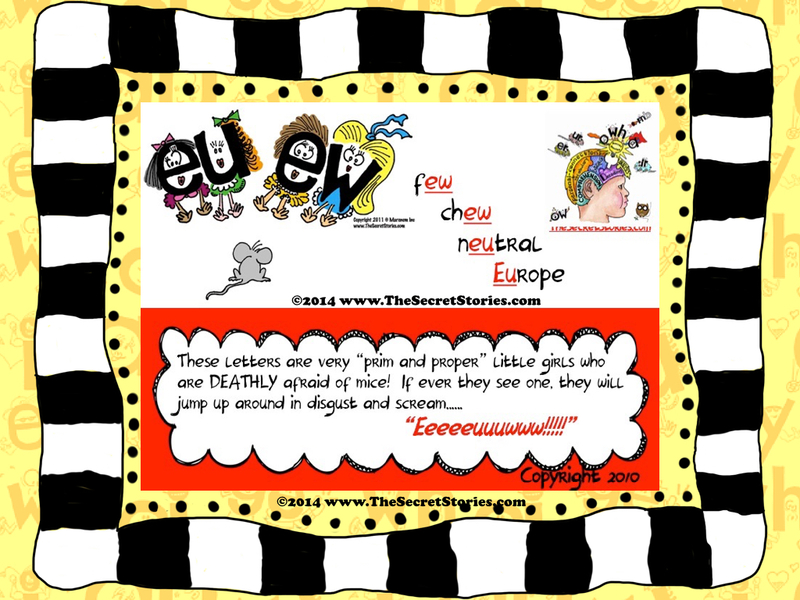 Contrary to popular belief, letters don’t just lose their little ‘letter-minds’ and run amok! 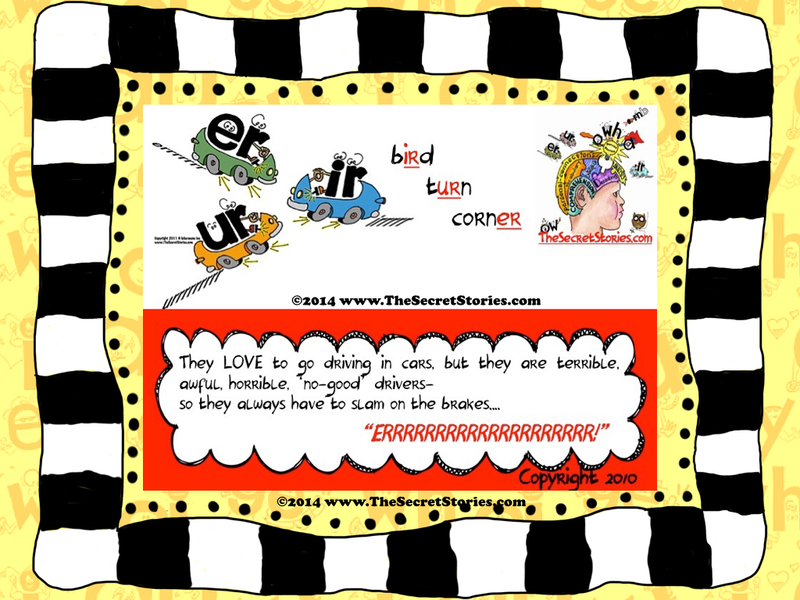 All they do (and it’s usually the vowels that do it!) is make sounds that they are perfectly capable of making— but it just might be their next-most likely ones! Watch the video clip below to see what I mean! When working with patients, doctors must ask themselves, “How many different ways can I look at this? 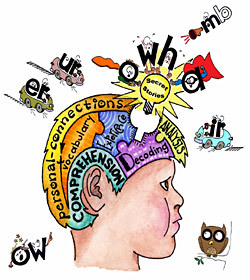 How many different ways can I solve it?” Beginning and struggling readers must also employ this kind of diagnostic thinking when attempting to sound out unknown words, asking themselves, “What else can it be?…. What else could I try?” Engaging in this type of analytical, problem-solving is often referred to as “thinking outside the box,” and the key to doing it effectively is to first know what’s IN the box! 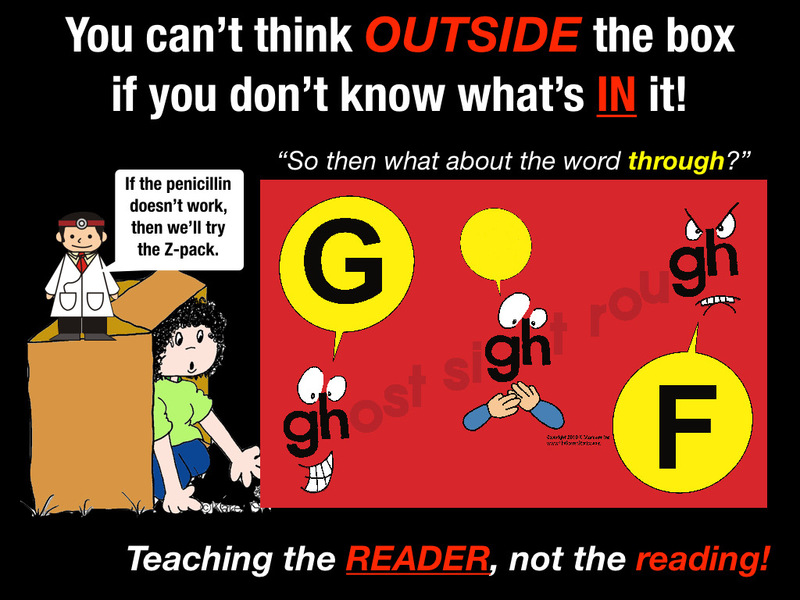 This is why knowing the Secrets is so important for beginning and struggling readers, as the Secret Stories® equip them with everything that’s IN the box so that they are more easily able to think outside it— something that working with text demands! 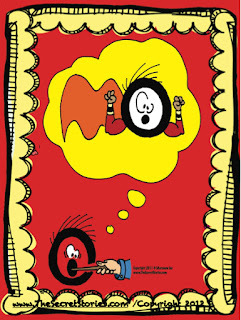 But, flying overhead is Superhero O, who happens to be o & w‘s all-time, favorite superhero, ever! 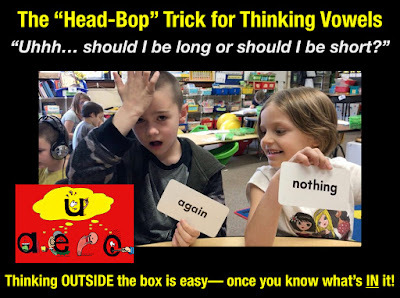 The Secret (and default sound for ow) makes sounding out most words with this common pattern easy, even for kinders, which means that words like: how, now, about, around, etc, commonly found on sight word need NOT be memorized! As with the Secret, kids can just READ them! Plus, kids can learn the ou/ow Secret in an instant, even if they haven’t mastered all of the individual letter sounds yet, as it still makes sense. Memorizing a sight word however, can take some students forever… especially those with little to no home support, as they are less likely to use it enough to make it stick. And even more importantly, knowing a sight word allows learners to read one word, whereas knowing a Secret empowers them to read and write thousands! Now let’s consider a word like you. 1. First, try the most likely Secret Stories sound for ou (as in house)….. NOPE, it didn’t work! 2. Next, try the individual sounds for the letters o and u ….. BINGO!!! We got the word!! 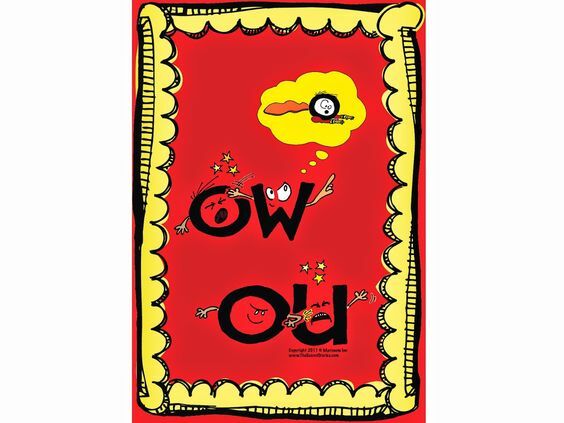 Now, had we not struck gold on our first “out-of-the-box” attempt, we could have worked our way further down the list of possible sound options and turned this puzzle into a sort of problem-solving/critical thinking game…. 4. It’s the PLAGUE! It requires a specialist! When we’ve exhausted all options and have no more tricks up our sleeve, we must surrender to the word, which means we have to memorize it! 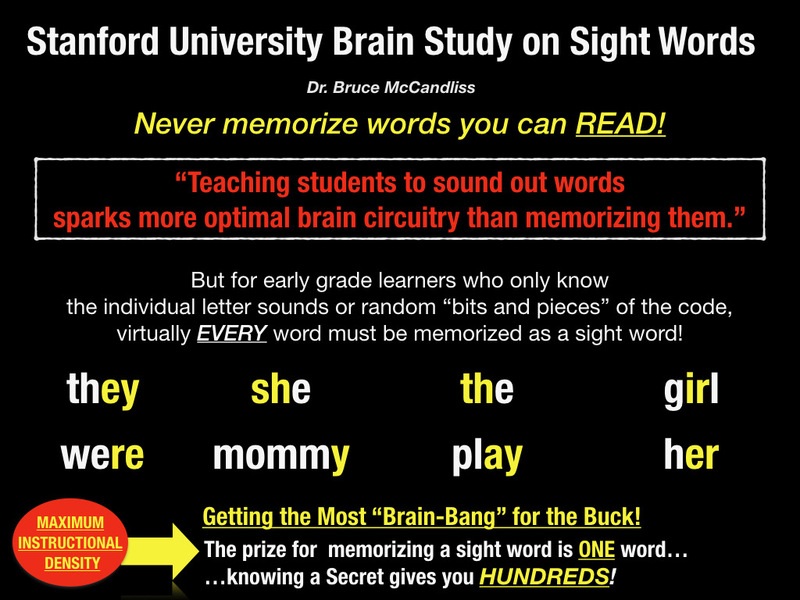 Why Not Just Memorize Tricky Sight Words? Here’s why— because it is within this “figuring-out,” (a.k.a. analytical/diagnostic thinking) process that true learning lies! Not just learning how to read, but learning how to think! 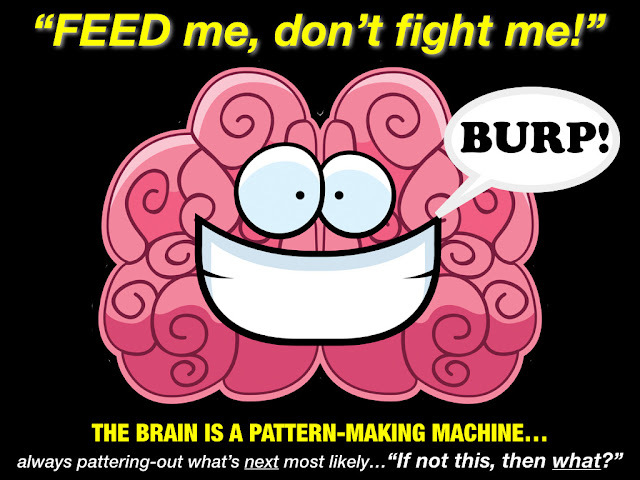 Our brain is a pattern-making machine, and this patterning process of thinking-through all available options is its natural way of doing things. “If not this, then that…” Our brain is continually patterning-out the best available options in everything that we do. Our brains are hardwired to look for patterns, and the Secrets are patterns— not abstract letter patterns, but patterns of behavior that are designed to mimic learners’ own behavior. The ability to classify incoming information quickly into categories (based on the patterns we know) means the brain can use easier rules to deal with the new input, which is less stressful than always having to deal with things that haven’t been seen before. Knowing the Secrets equips inexperienced beginning and struggling learners to identify the best course of action when sounding out new words, and not knowing the Secrets means having to say, “It just is… It just does… You just have to remember….” when they can’t read or spell a word. Just to be clear, some words are just better to memorize, as mentioned when discussing the word could, up above. But most are not, especially if they now the Secrets and can easily read them! Consider that every sight word that a learner memorizes is one less opportunity to reinforce their “sounding-out” (decoding) skills that you work so hard to teach, and more importantly, one less opportunity to flex their “critical thinking/problem solving” muscles! Now before you read any further, watch this video. It’s easy for teachers to empathize with Ricky’s struggle to read words like: boughs, through, rough, cough and enough. Like many students in our guided reading groups, Ricky diligently attempts to decode what seem to him to be ‘un-decodable’ words and becomes understandably frustrated in the process. Ultimately, Ricky just closes the book and gives up, convinced that the sounds letters make just don’t make sense. Many of our students feel the same way. When they are at the FRONT, they’re glad! There, they make the hard g sound, saying…. When they are at the END, they’re not at all happy and they always complain. Here, they make the fff sound, saying…. Now let’s play “Word Doctor”…. But gh is a different story, as it is not making the sound that it should, which is “fff.” So let’s try one of the only TWO other sounds that it can make, and voila! We got it! The gh is silent! The gh Secret is everything that’s IN the box when it comes to all of the possible sounds that gh can make, making it easy for learners to deduce the next most likely options when it doesn’t do exactly what it should! Like in the word you (mentioned at the top of the post), ou is not making the sound that it should, but by simply trying the individual sounds for both o and u, we can easily get the word! In this case, ou is making the short u sound. And thankfully, gh is doing exactly what it should when it’s at the end of a word! 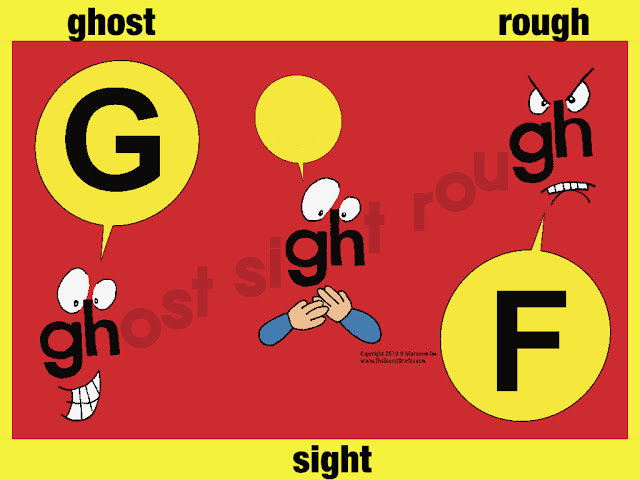 Just as with the word rough, ou is not making the sound that it should, but is making one of their individual sounds, instead. This time, it’s the short o sound. And again, the gh is doing exactly what it should. Once more the ou is not making the sound that it should, but it IS doing the next most likely thing, based on our “hierarchy of likelihood” (way up above at top of post), just as it did in the words you, rough and cough. In this case, it’s making the short u sound. And once again, gh is doing what it should. Now this one’s a little trickier— bordering between being “fun to figure out” and “just easier to memorize,” I would probably go with the latter, but it is gratifying to know that with a little “out of the box” thinking, we CAN crack this word, should we chose to! And then we have the same problem with gh that we had with a couple of the other words up above— nothing that a good word doctor can’t fix, as gh is just being difficult and refusing to talk, as is his prerogative. However, it does require an extra analytical step to crack the word, which may be one too many to make it worthwhile. Thus, it merits the time, energy and space in the brain that’s required memorize. 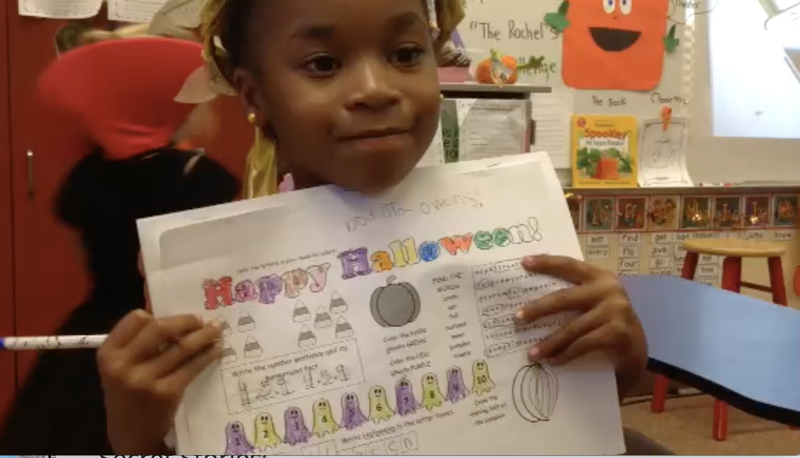 This video clip shows a group of first graders playing “Word Doctor” and applying some critical analysis and diagnostic thinking to the word light. While they can already read the word, they bothered by the fact that i is bothering to say his name when there Mommy E® or Babysitter Vowel® in sight! Hmmmm…. that sounds a lot like the class in the video! For a quick overview of the Superhero Vowels® and their “short & lazy” sound disguises, watch the video below. And the last little doctor tool that I want to share before signing off is about the vowels, as they are the most likely culprits when words just won’t sound-out correctly! Vowels are the “eyes, ears, nose and throat” of a word, which is why good word doctors should always check them out first! They offer the best window into what’s most likely wrong. Sometimes it’s an issue with a Secret (as with the words we’ve seen in this post) but other times fixing the problem requires having a few “vowel-fixing” tricks up your sleeve— something that every good word should have! Learn more word doctor strategies, including, the “Thinking Vowels/Head-Bop” and the “Hungry Thing” to crack tricky vowel sounds here! And if you don’t have the Secret Stories® Classroom Set but would like to get started with the basic “meat and potatoes,” which are the vowels, I would suggest you start with Secrets of the Superhero Vowels Bundle® on TpT. It’s a great place to start! And if you are already using Secret Stories® in your classroom, this digital vowel pack is a super handy supplement, as it offers multiple sizes of the graphics for various uses within the classroom and at home!